Last night Rosey, Ash, Dale and myself went rock climbing on Mushroom buttress. 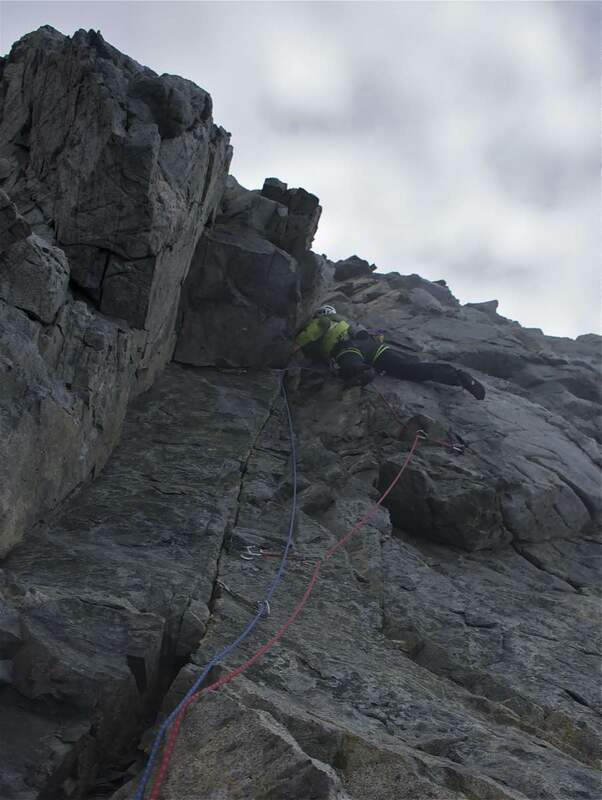 We did a two pitch route called Biscoe Sour (VS, 4c). We left Rothera immediately after finishing work at 1800 and skidooed to within 500m of the base of the route. We then roped up and set off towards the rock. The snow was very soft and it was quite a challenge just to get to the climb. The weather had been stunning all day but the forecast was for strong winds and snow showers to develop at some point during the evening. We were climbing as a team of 4 which made for slow progress but it was very sociable which is always good! Pitch 1 goes up an easy corner/groove so a comfortable stance out of the wind. Pitch 2 then steps out onto the face before surmounting a bulge andcontinuingup another corner/groove system. Once at the top I rigged and anchor and we abseiled back to the foot of the climb where we had left our bags. By this point my feet were completely num with the cold and I was starting to get hot aches in my fingers!